Nowadays the internet is full of topics on “Microservices”. There are few conferences that don’t include at least one talk on this subject. Several frameworks are built to deliver an infrastructure that supports deploying a microservices architecture on a scalable setup. Despite the success that several companies are having with developing software for such an architecture, you can argue that the microservices hype is steadily coming to an end, and we are already exploring new ways to build and/or deploy solutions in the cloud. It is clear what the pre’s and con’s are that come with a microservices architecture. Are we going to abandon this architecture or are the parties involved continuing to evolve the concept? There is one evolving microservices project that is steadily gaining attention: The Eclipse Microprofile. The project promises a specification based on JavaEE, optimized for deployment in a cloud-based microservices architecture. Does this specification finally fill the gaps and fix the problems that we experience in conventional microservice architectures, such as availablility checks and authentication/authorization? 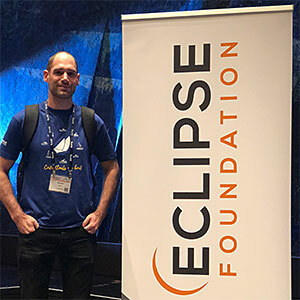 Will this specification be the gamechanger that will take cloud-based development one step further and make the Eclipse Microprofile the de-facto standard? Let’s go through the specification and determine this for ourselves.